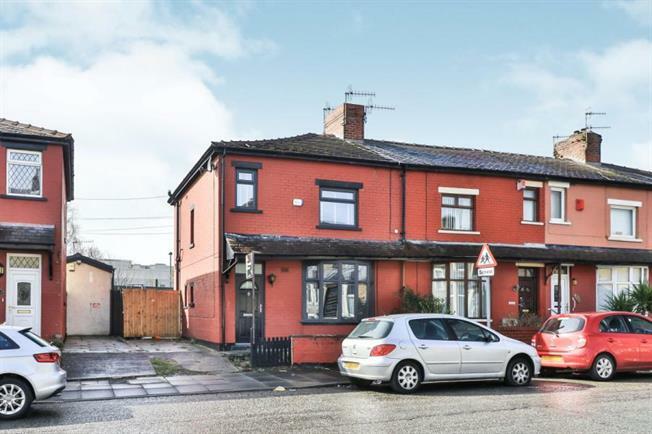 3 Bedroom End of Terrace House For Sale in Burnley for Offers in the region of £90,000. Located in a popular area close to Colne Road with a range of local shops, schools and bus routes this spacious 3 bedroom end of terrace property will be popular with families. With accommodation to provide a spacious lounge dining kitchen, utility room, 3 bedrooms, family bathroom with modern white 3 piece suite, gas central heating with combi boiler, recently replaced upvc double glazing to most windows and new composite entrance door. Call now to register your interest! Radiator, upvc frosted double glazed window to side, upvc double glazed door to garden. Upvc frosted double glazed window to side. Comprising of a white 3 piece suite with a panel enclosed bath with mixer and separate shower over, tiled surround, pedestal wash hand basin, low flush wc, radiator, upvc frosted double glazed window to rear. Good sized rear garden ideal for families, patio, panel fencing, gated side and rear access.